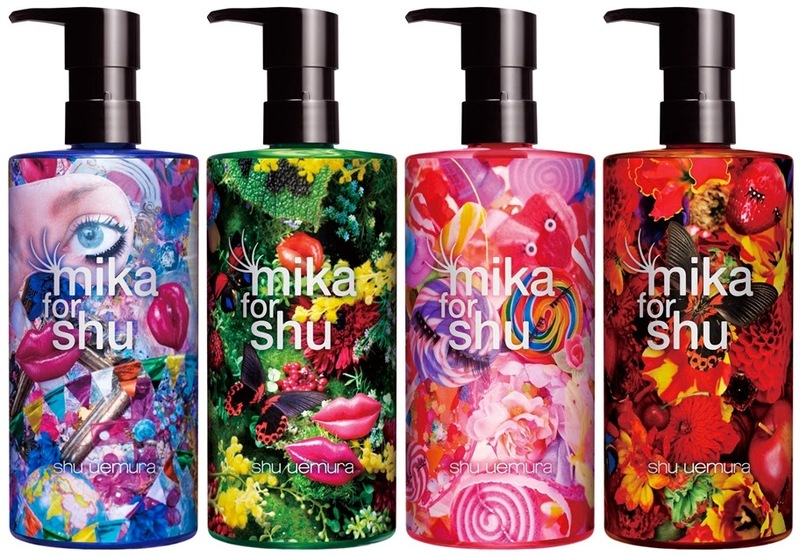 JQ Talks: Mika for shu uemura - A Wonderland For You And Me. 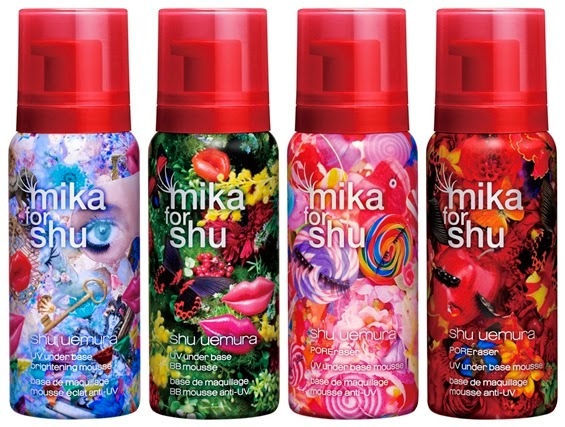 Mika for shu uemura - A Wonderland For You And Me. Let's face it, no matter how much we girls deny it, we're suckers for packaging! 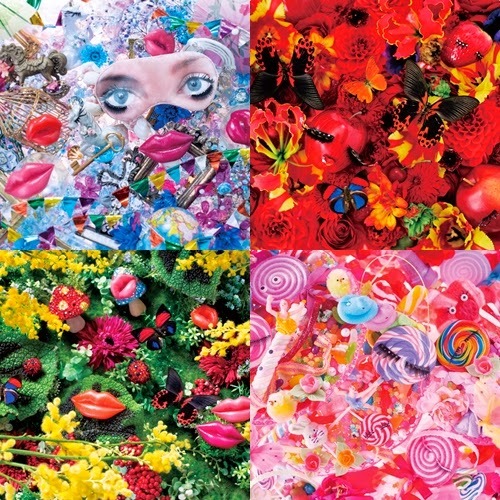 That's exactly what shu uemura did, they collaborated with Mika Ninagawa to create beauty in wonderland. It's a little fairytale moment for each of us as we're guided by butterflies into Mika's euphoric wonderland, a vivid landscape from blue to red, green and pink that sings with flora and fauna. They are definitely one of the most creative and beautiful designs I've ever seen, so intriguing and unique. Not your typical sweet looking designs. Too pretty to not show them off, I can't help myself for not sharing the entire collection to you all. Find yourself lost in an enchanted carnival. Keep your curious eyes wide open and search for the key to the next beauty wonderland. Evil butterflies are in love with the passion filled garden, ripe with seductive apples and strawberries. Even the evil butterflies cannot resist the soothing lullaby of luscious lips that put you into a sweet beauty slumber. Once the fresh ivy and wild mushrooms cross your lips, you will slip into an eternal dreamscape. Lucky charm that guides you to angelic butterflies. Enter a dream filled with charming, sweet candies that melt on your mouth. Ready to see the products in these four packaging? I had no idea that these were legendary in the beauty world! I guess I was so used to using wipes and cleansing milk for way too long. It's time for me to switch and see what's the fuss with these cleansing oils that are loved by many. 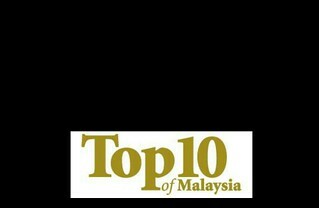 The pink-purple mousse helps to brightens up the skin tone for a luminous finish. A light texture mousse that gives a semi-matte finish and even skin tone. Made for lighter skin tones to provide a pore-less semi-matte finish. Made for medium skin tones to provide a pore-less semi-matte finish. An exclusive limited edition compact case for the beloved dual-fit powder for a long lasting finish and dual benefits powder of the silky-moisture side and the anti-shine side. 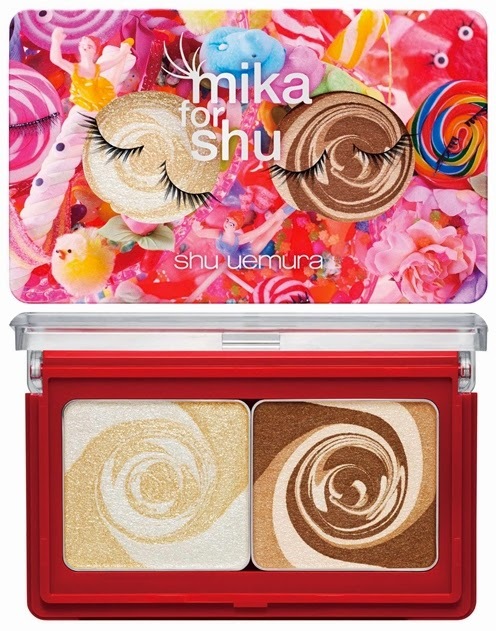 The "melting sweet dream" candies inspired Mika to create a sweet yet mysterious spiral design eye shadow. Mix the spiral colours or use it on its own. No surprise, it won't be shu uemura without a new pair of lashies! A limited edition lash in vivid pink, orange and yellow with shiny stars glued to the top for some sparkle. A tempting revolutionary creamy gelato texture glides on the lips for an intense dewy finish. Dab lightly on the cheeks and blend it out with your fingers for a beautiful cheek stain. 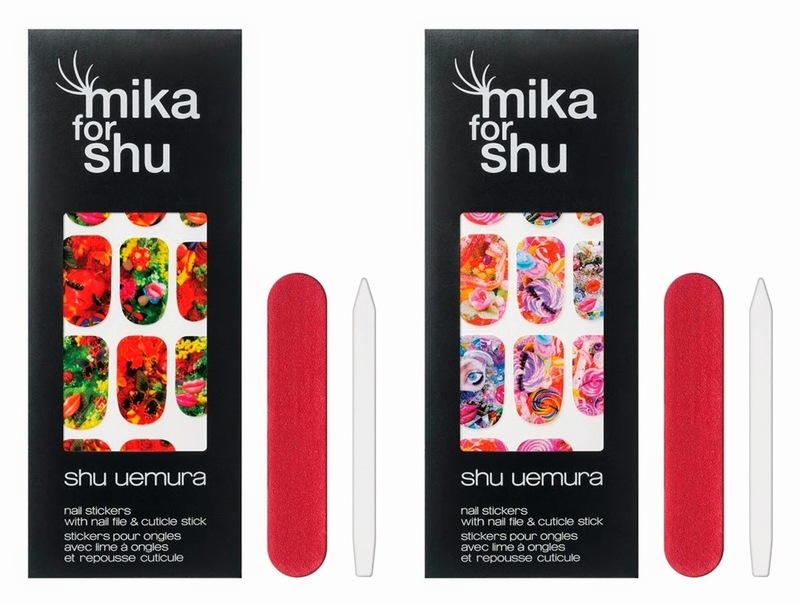 The ethereal Mika Ninagawa world expressed in nail stickers includes a nail file and cuticle stick. Apply alone or combine with other nail colour as an accent. 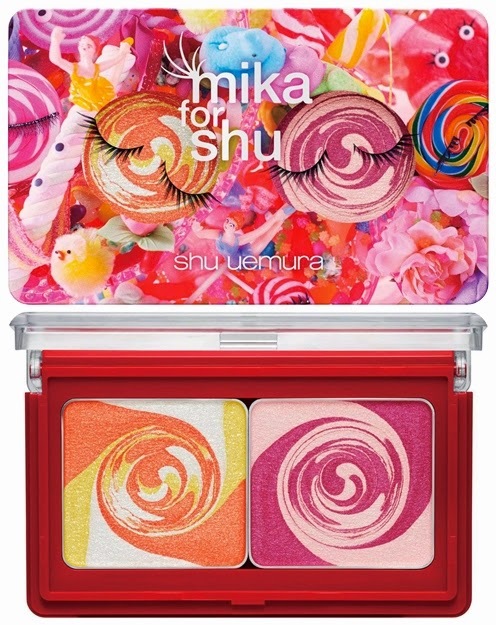 For more information, visit shu uemura website or Facebook page.